That’s right: the iconic car used in the 1980s classic Back to the Future to transport button-nosed Marty McFly though time and space has been relaunched… and this time it’s all-electric. 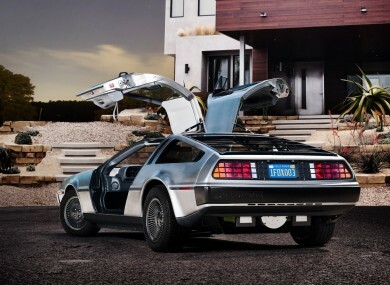 Although the DeLorean has become a byword for time travel in popular culture, the car never saw its celebrity translate into substantial profit – even in its heyday. After the original company went bankrupt in 1982, the name was revived by entrepreneur Stephen Wynne in 1995. An electric prototype of the classic design was launched earlier this month and, all going to plan, the company says it could start to custom-build the electric version by 2013, reports abcNews.com. However, perhaps not surprisingly, the vehicle will set you back a bit – to the tune of about $90,000 (€65,000). Email “The DeLorean is relaunched - and this time it's electric”. Feedback on “The DeLorean is relaunched - and this time it's electric”.